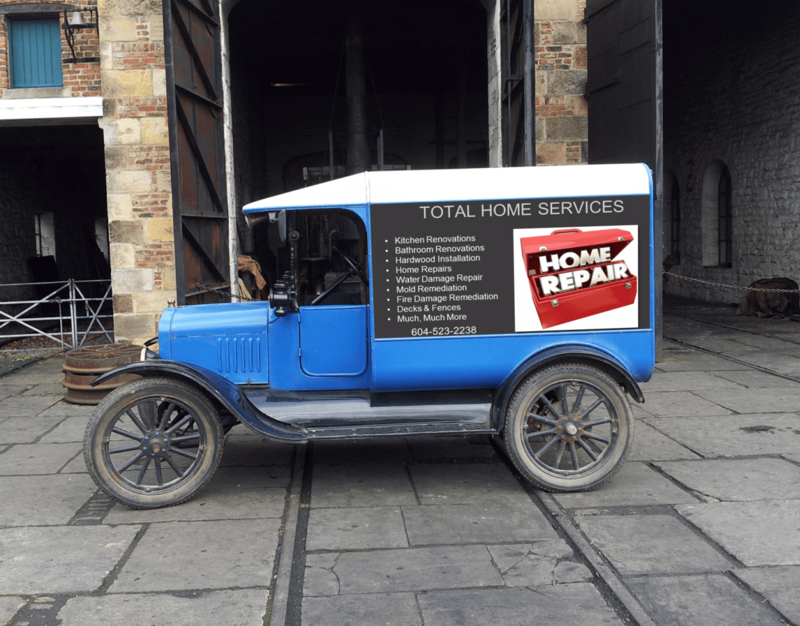 Home Repair, Renovations & Water Damage Repair, Fire & Flood Damage Restorations - Page 2 of 3 - Total Home Repair specializes in home repair and home renovations. We are fully insured, licensed and on top of new techniques that keep us affordable and highly efficeint. If you have every come home to water damage and you are knee deep in water a flooded basement you probably understand the need for a quick response and a timely water damage repair. Water damage repair is quite frequently needed because of a broken pipe and quite often it is the result of a broken pipe from extreme cold weather. It is also possible that foundation cracks or a broken weeping tile system is allowing water to penetrate into the home. Your first course of action is to try and stop the source of the leak. If the water is generating from an open tap or faucet it may be as simple as turning it off. If you are unable to determine the source of the water damage it is always a good idea to turn off the main water supply to the building. Once you have shut off the water supply you will probably want to call a fire and water restoration company such as Total Home Services. In cases where you will need water damage repair and preventation of further r damage from mold and contaminates it is always wise to call in a professional that specializes in water damage repair and mould remediation. A restoration company is well equipped to deal with water extraction and the correct drying procedures, they will have heavy equipment such as dehumidifiers and blowers to assure drying takes place in a timely and controlled fashion. If there is contamination involved for sure you don’t want to tackle the clean up on your own as the aftermath of a poor clean up job could linger on for years and the decontamination will require EP approved chemicals. A professional fire and water damage repair company will assure the job is done correctly as a professional restoration company is trained to use different cleaning and decontaminating agents on certain materials and there is no substitute for this type of knowledge. Professional restoration companies will also be instrumental in finding the original source of the water problem and will be able to guide you to the proper repair. Your insurance company will also be relying on the the professionals to report the nature of the problem, the repair solution and they will be able to help the homeowner with communication and reporting to your insurance carrier. We hope you never find your self in an emergency situation when it comes to water damage repair…if you do… our response time at Total Home Services is fast and we have been professionally attending to these types of water and fire damage issues for over 20 years. 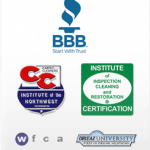 Total Home Services are experts in fast response to water and fire restoration and they are a member in good standing with the Better Business Bureau, a Certified member of The Institute of Inspection Cleaning and Restoration, a member of the Carpet Cleaners Institute of North America, a member of the World Floor Covering Association and hold a WRT Certification. You can expect quick emergency response times in Coquitlam, Port Coquitlam, Maple Ridge, Port Moody, Burnaby, and New Westminster. If you require professional Restoration company outside of these areas for non emergency we are well known for our expert workmanship and skills. If you have an emergency outside of these areas call us for a response time and we will be more than pleased to help you quite often we may have a service truck in your area. We are often servicing non-emergency situations in Vancouver, North Vancouver, Burnaby, and Surrey. Total Home Services is well known as the “One Stop Shop” for all your home repairs and renovations, Ken has over 20 years experience, Furnace & Duct Cleaning is one of many services offered by Ken and his Company. We usually think of having our air ducts cleaned to get rid of the accumulation of dust, but rarely do we think of the following items as being further consideration for getting the furnace & duct cleaning done. Duct cleaning should also be done to get rid of other environmental contaminants like paint dust or fibers from carpet. When contaminants such as these are breathed in they can’t be good for your health. This may be especially true if anyone living in the house is sensitive because of asthma, allergies or other type of respiratory problems. 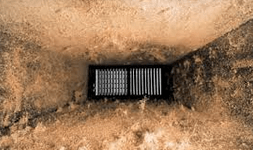 Furnace & Duct Cleaning Does Make a Difference! A good duct cleaning in your home will give you fresher, cleaner air and cut down on the amount time you spend dusting furniture. An effective duct and furnace cleaning will remove the build up of contaminants from your duct and furnace system. It is important that all parts of the central air system including the filter and blower are cleaned and that the complete system is treated with a sanitizing solution to stop or slow the growth of bacteria, allergens, bacteria and mold. This cleans the system and keeps the air in your home, cleaner and healthier. Furnace and duct cleaning professionals recommend maintenance services every year or so depending on your circumstances. 6) The house is new construction, or you are moving into a new home. It should also be mentioned that your furnace will work less and be more efficient when it is working and performaing at its best. So there is also an economy to keeping the your forced air system working at its best. Ken Services Vancouver, Coquitlam, Port Coquitlam, Port Moody, New Westminster, Port Moody, North Vancouver, Maple Ridge and most of the Lower Mainland. Most people are very fearful when it comes to the topic of home improvement and home repairs. Whether the physical requirements of the job seem great or the task too complicated, many people are beaten before they begin their home repair or home improvement projects. If you are thinking about selling your home here are some simple projects to consider. If you are still uncertain about doing them call Total Home Services to give you a FREE quote on your home improvement project. Home Repair to Consider Before Selling ! 1. You should make sure to have your home power washed by professionals before you put it on the market. A potential buyer will see the outside of your home long before they see the inside of it. If you have a squeaky-clean exterior, it may make them more interested in seeing what is on the interior and it may help them overlook some of the needed small home repair jobs. 4. Deodorize your home before showing it to buyers. This is especially true if you are selling a house you have lived in. If you have been in the house for extended periods of time, you might not notice the way it smells. Neglecting to deodorize could turn off potential buyers. 5. A way to do some home improvements that will really add a touch of class to any room, consider doing crown moldings. Crown moldings come in a variety of different shapes and can conform to any ceiling. They will add a touch of elegance and value to any room in the home. 6. Improving the lighting in your home will increase its appeal. Take down any dark curtains you might have up, replace light bulbs with higher wattage bulbs and clean all of the windows until they shine. A bright, well-lit home, is at the top of the buyers wish list, right behind a good location, so be sure to do all that you can to illuminate your home. These pointers are very effective measures to review before your house goes on the market. Ken Bradshaw of Total Home Services has over 20 years experience in both cosmetic home repairs and large home projects such as water damage repair, fire damage repair, and mold remediation. Total Home Services will will service home repair and home improvement projects in: Vancouver, North Vancouver, Port Coquitlam, Port Moody, Burnaby, Maple Ridge, Surrey and Langley. Total Home Services is a member in good standing with the Better Business Bureau. Call Ken at 604-523-2238. If you are Dealing with an emergency water damage or smoke damage problem call Ken at 604-808-7039. Always make sure to shut the water off for any kitchen or bathroom improvements. You should always know where the water shutoff valve is, and turn it off when working near water pipes or a water supply to ensure that you do not create a flood of water. Making sure to do this can prevent unnecessary water damage. It is surprising the number of times we have seen a project go bad because the location of the shut off valve was not known or planned for by the owner. Keep your water flowing during cold weather by adding heat wraps to water pipes located in crawlspaces or under mobile homes. Acting like electric blankets for your pipes, these special wraps use electricity to create just enough heat to prevent ice from forming in the pipes. Frozen pipes can burst or split, causing costly leaks and water damage. This can happen so quickly and it can be easy to prevent. To save money on home maintenance, check all of your faucets and pipes for leaks and have them repaired quickly. Leaking faucets can waste quite a bit of water, costing you in higher bills. Also, pipes that are leaking within your walls or under your house can lead to serious water damage. Minor Bathroom renovations can turn to major Bathroom renovations if water has dripped or leaked behind the walls. This kind of gets us back to the mold and rot situation mentioned above. Chimneys, gutters, and downspouts can often get overlooked during our inspections to wintierize our homes. It is important to inspect these aspects of your home to make sure they are functioning properly and make any repairs necessary. Your chimney can catch fire if not cleaned on a regular basis and gutters and downspouts can become clogged with debris, which can lead to water damage if not addressed. Fire and water damage are not a lot of fun and they can be costly and dangerous. Nobody likes to even think of these things but if you find your self in this kind of a situation Call Ken Bradshaw of Total Home Services. Ken has over 20 years of experience in home fire and water restoration and he put this experience to work if you require renovations or repair around the home. 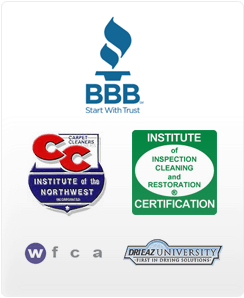 Ken is a member of the Better Business Bureau, Institiute of of Inspection Cleaning and Restoration, Carpet Cleaners Institute of the Northwest, World Floor Covering Association and the Dri-EAs University. Take advantage of Ken’s experience and call him today 604-808-7039. Ken Services, Vancouver, North Vancouver, Burnaby, New Westminster, Coquitlam, Port Coquitlam, Port Moody, Mape Ridge and Surrey. Home improvement has been around for as long as there have been structures in which people have lived in. We all want our homes to be comfortable and look beautiful, and sometimes the only way to accomplish that is to do some updating. Updating a home does not always a huge investment and sometimes we overlook smaller prjocts that can pay big dividends and add street appeal to your home. A nice addition to any home is a nicely crafted fence. If your home is lacking a fence, you might decide it is time to build one. Fences look great in just about any home and can help raise the property value of your home. They are known to be a nice home improvement and usually do not cost an arm and a leg. You can also feel a little more secure, as having a fence can help keep random strangers off your property. Painting and decks are the two outdoor home improvements which have a significant return on investment, so consider both when thinking of working on the outside of your house. A deck will provide you with an amazing place to entertain guests, or to relax on a steamy summer weekend with a cold drink. If you are planning a home improvement that involves the exterior of your home by adding a deck, make sure to check on local laws and ordinances before putting out any money. Local codes can vary from city to city, and may affect the size and height of your deck, or how close you can put it to the property line. With careful reasearch and planning, most people can do some home improvement with good results. It’s not always as easy as it looks though, and one should proceed with caution. It’s easy to get into a project and find it is much more costly and complicated than it looked in the beginning. If you are consider Home Improvements call Ken Bradshaw of Total Home Services at 604-808-7039. Ken has over 22 years experience in home renovations, home repair, fire restorations and water damage restorations. Ken has the experience to help you with you Home Improvements regardless of the size or scope. Ken gives FREE quotes, will show up on time and complete the job within the quoted costs. Food for thought on home Improvements! There is no place like home! Because you are in your home most of the time, the way your home looks can play an important role in how you feel. This is really true for people who work at home. Home improvements that increase your satisfaction and enjoyment of your home are an investment in your home value and your sense of well being. If you work from home can you imagine how a new Kitchen Renovation would feel? Lots of times you can make your home more comfortable simply by fixing some of the more obvious flaws or by adding simple touches that create a homey feeling. By leaving these opportunities untouched, you are limiting the amount of enjoyment that comes from owning your home. Comfort is really important. It could be something as simple as replacing uncomfortable furniture, or having shelving moved to within reach. For the small jobs it is always a good idea to have a handyman a part of your team. You should think about adding the extra room needed for storage. Keeping your home clean and organized can make a huge difference in the functionality of your home. Extra rooms are usually a home improvement that will give you a decent return on your investment. Consider adding more entertainment features to your home. Sometimes people consider swimming pools, but that isn’t always practical; you may however consider workout spaces, hot tubs, outdoor kitchens and deck areas as desired alternatives. Of course, the increase in the property value is also a great incentive for adding these features and home improvements to your home. Great video testimonial an be found here. If you frequently feel tired when you are inside your home, look carefully at your sources of lighting. Improper lighting can result in eye strain, which will make you feel grumpy and tired. Adding additional lighting or replacing existing fixtures is a quick and easy way to solve the problem and improve your home and mood. Consider a change to the appearance of the exterior of your home. Your home’s exterior will benefit from a fresh coat of paint, new windows and doors or even a new roof. Curbside appeal is something that you will appreciate everyday. Sometimes painting alone is such a value added home improvement and it helps to preserve the wood and outside finish of the home. A carefully selected home improvement project is an investment in your property; however, these projects are equally beneficial to your sense of well-being. Having a home you love makes time spent there so much more enjoyable. Total Home Services has been helping home owners make their homes more comfortable for years. They are fully insured and members in good standing with the Better Business Bureau. For FREE quotes on home repairs, Kitchen Renovations, Bathroom Renovations call Ken Bradshaw of Total Home Services. Ken is very informative, easy to talk to and will bring your repairs or projects in on budget. A list of Services can be found at the Total Home Service web site. Total Home Services can be called to quickly service, Vancouver, North Vancouver, West Vancouver, Burnaby, Coquitlam, Port Coquitlam, Maple Ridge, Port Moody and surrounding areas. Listen to Ken Hawthorne of Total Home Services as he does a quick recap on mold remediation and water damage repair that was recently done in a bathroom and surrounding area. It was interesting to note that the homeowner had a different contractor attempt this job without success. Mold remediation and water damage repair can be tricky and it is best left to someone who is trained and has the experience to do the job. There can be many terms relating to getting rid of mold and they may include mold removal, mold remediation, mold mitigation, mold abatement and water damage repair. Whatever you choose to call the process step one in getting rid of mold is to fix the moisture problem that’s setting the stage for its growth and testing the home for mold. The mold remediation and water damage contractor you’re considering should experienced and insured. If you suspect a mold problem in your home contact Ken Bradshaw of Total Home Services. They are experienced, easy to talk to and will give you a FREE quote on the remediation if it is necessary. You can find more information on Ken and his Company by visiting https://homerepairandrenovationsvancouver.com or call Ken direct at 604-808-7039. Ken and his company are fully insured, long time members in good standing with the Better Busines Bureau and they provide full ToTal Home Services, including home renovations, water damage repair, mold remediation, smoke remediation, handyman work, home repairs of all types.